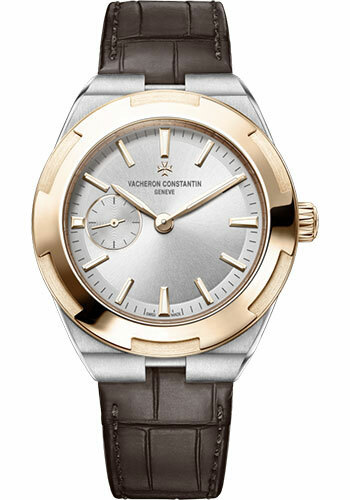 37.00 mm stainless steel case, 11.13 mm thick, transparent sapphire back, 18K 5N pink gold crown, silver dial, Caliber 5300 automatic movement with hours, minutes, small seconds at 9 o'clock, approximately 44 hours of power reserve, strap Number of delivered straps: 2, stainless steel deployant buckle. Water resistant to 1 bar. anti-magnetic protection to 25,000 A/m. 37.00 mm stainless steel case, 11.13 mm thick, transparent sapphire back, pink dial, Caliber 5300 automatic movement with hours, minutes, small seconds at 9 o'clock, approximately 44 hours of power reserve, strap Number of delivered straps: 3, stainless steel deployant buckle. Water resistant to 1 bar. anti-magnetic protection to 25,000 A/m. 37.00 mm stainless steel case, 11.13 mm thick, transparent sapphire back, blue dial, Caliber 5300 automatic movement with hours, minutes, small seconds at 9 o'clock, approximately 44 hours of power reserve, strap Number of delivered straps: 3, stainless steel deployant buckle. Water resistant to 1 bar. anti-magnetic protection to 25,000 A/m. 37.00 mm stainless steel case set with 84 diamonds, 10.80 mm thick, transparent sapphire back, 18K 5N pink gold crown, 18K 5N pink gold bezel, silver dial, Caliber 5300 automatic movement with hours, minutes, small seconds at 9 o'clock, approximately 44 hours of power reserve, strap Number of delivered straps: 2, stainless steel deployant buckle. Water resistant to 1 bar. anti-magnetic protection to 25,000 A/m.